According to an article published on eMarketer, it has been observed that the video viewing experience for around 60% of survey respondents was found to be immensely frustrating due to the buffering. Also, almost 54% of the respondents switched to trying on later. There were also a minority of respondents which constituted approximately a quarter of the sample size who were found to give up on the entire video service. There have been quite a few of such video viewing applications which even after the development of the fourth or fifth generation of the telecom services are still facing problems in video streaming and hence the quality of the videos watched on their gadgets like laptops, tablets, or mobile phones. The answer to this is that for playing a certain video on a particular device, there is a prerequisite of data which needs to be downloaded first in order to support the device for playing the particular video in the best possible manner. This means that while the video is streaming, it demands undivided attention of the internet and server for preloading its data such that it can be watched seamlessly without any interruptions. For the same, one shall need to ensure that all existing downloads or application update processes are over or are kept on hold until the video has ended. This is one step which can help to stop buffering. Video buffering occurs when sufficient data is not made available for its streaming online. And sometimes a particular video may get hanged up or dropped when data is insufficient for it to stream or download. For the same purpose, it is suggested that the video is paused for sometime in order to create a large amount of buffer for the video to stream smoothly. Sometimes even hoarding up the data in the cache might hamper Netflix buffering while watching an episode of the favorite season or series. Just like garbage is cleared out of the house every morning, the cache should also be cleared before watching a certain video through the channel or application. Sometimes it is also the internet plans or packages which are responsible for the fact that Youtube keeps buffering and hampers the viewing experience of the digital content of a particular subscription. Also, there are chances of the internet or data limits to get over if the data credit is of a lesser amount or value. For ensuring this, a compatible data router and a robust service provider for the internet should be subscribed for. Digital content providers have a limitation just like roads to provide seamless content viewing experience to all its viewers and subscribers at the same time. This is one reason for Kodi buffering as it is an open source application and has more viewers or users for streaming digital content through it. Hence, it is suggested that all the respective content, episodes, or series be viewed at a different time when the viewing traffic is less and the video can be streamed seamlessly. In order to stop buffering on Kodi, the number of devices connected to the given network should be curbed in such a way that videos are streamed and viewed in a seamless manner without the hassle of buffering. The more the number of gadgets associated with a particular network or data bandwidth, the higher is the risk of buffering of the video being streamed through the particular content application. 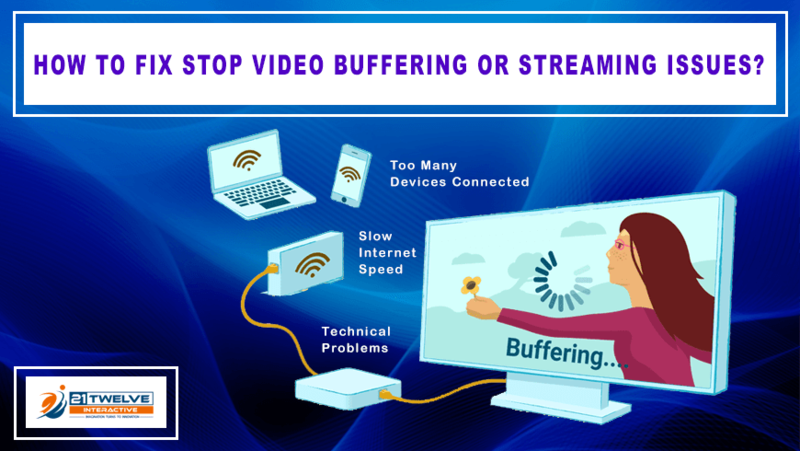 This is one of the ways which suggests how to stop buffering when streaming as the system or the gadget through which a particular video is streamed can be affected through bugs, viruses, or malware occurring through the exposure to the internet for viewing digital content. It is also important to view content from secured or trusted channels or sites only and install antivirus software which is compatible with the gadgets from trusted vendors. Another Ninja technique for answering, ‘How to stop buffering on live streaming?’ is to decrease the quality of the video from high definition to standard definition in a way that the video does not pause to buffer every time it is being played. Also, the video watching experience is seamless and hassle-free in the best possible manner. One should also remember that the higher the quality of the video, the higher is the risk of buffering given the factor of internet or data into consideration. A particular time interval required for transitioning of the video from one episode on to another need to be managed in such a way that the video stops buffering every now and then. And the Autoplay option should be set in such a manner that the minimum period or interval time maintained is of two to three seconds approximately. The media flash player or other such software which supports or forms the backbone of video streaming on the laptops especially needed to be handled with care along with the internet router. This is because of the fact that each of them is fragile and if pressure is put on them like downloading from live streaming, and then each of them might just collapse or burst. Hence, the encoder needs to be handled with care in order to stop buffering video streaming. This is yet another factor which is important to stop the video buffering or playing of the video through the media player in the first place. Some users might think that Microsoft or Windows might consist of all the necessary drivers required for streaming live or recorded videos from all necessary channels or sources. But it is not so. And the user has to download all the required drivers or software in order to stream all necessary videos without the hassle of buffering. Here are some of the reasons detected as the causes of video buffering and loading the particular digital content on the given operating platform. A 64-bit CPU can support all related video related software, drivers, or even flash players which a lower version shall not support. Also formatting and deleting unnecessary files from the memory shall enable video streaming through the CPU. Laptops shall demand at least 5 Gigahertz speed for data for streaming videos through the related flash player and drivers. And mobile phones need to be either connected to a wire-free router or to an internet service supported by its SIM card. A particular network if rate to around 10 upon a hundred cannot support video streaming. And the basic requirement to avoid video buffering is a network which measures in Gigabits or Gigahertz. A faulty network router or a cable can also be a culprit for hampering video streaming online. Also, a direct internet broadband connection of around 5 Gigahertz shall be more helpful than a 2.4 Gigahertz of wireless internet connection. And these need to be switched off when not in use to ensure hassle-free video streaming. Network connections which are crowded and connected through wireless options cannot be considered for video streaming through a particular wide area network. Also, a slow network may be another factor which shall contribute towards the same. Filtering of content can also pressurize the servers or the internet to be slow and contribute towards buffering of the video. This is also one of the most major factors contributing towards the hindrance in video streaming either through a laptop, tablet, or a mobile phone. One should thus ensure that the sync has been done in such a way that it does not hamper the video streaming on a particular device. Also, the scrutiny of the third-party applications should be completed before the video is actually streamed or viewed. The backup processes occurring in the devices also contribute to the buffering of the videos. Scanning of the content or the videos need to be completed in such a way that the video is enjoyed and is not spoiled by unusual buffering caused by it. Backups for storages also need to be completed which shall prove as an obstacle for video viewing. Apart from all these technical factors, there are some other factors which contribute to viewing the video in the best virtual quality possible. The compatibility of the device with a particular video application, player, or driver is also necessary if the buffering needs to be avoided. Youtube turns out to be a Google assistant for helping viewers watch their favorite digital content through its mobile applications built for mobile, web, and tablet. It also happens to be the native app for Android users which provides them with personalized content on any compatible device. Hence, these are some of the ways in which a particular user or viewer can fix the problem of video buffering along with its reasons. This can be done on their gadgets and help in troubleshooting their buffering problems by applying various steps to various problems for solving it. Further, it has been found that the cause for the fact that videos keep buffering is majorly due to the internet and its related factors which the users are unable to detect at times. And thus for a video to stream seamlessly, all the above factors need to be kept in mind.